When you consider the gold price per ounce, the amount you are buying for that price will be a troy ounce. All bullion products’ weight is measured in troy ounces and pounds rather than the standard (avoirdupois) ounces and pounds used for all other things. Troy ounce measure goes back to Roman times and is currently used for measurement of precious metals and gunpowder. A troy ounce weighs more than thirty one grams, while the ounce normally used for other things only weighs slightly more than twenty eight grams. When you see the prices for bullion, you need to remember that this is not the price you will pay. This price does not include any dealer markups and other associated fees that you will usually have to pay. That’s how bullion dealers make money by charging seller a fee or premium over the spot price of the metal. Some comparable products will come at a higher mark up only because it is considered a more popular choice despite the fact that these products might have identical metal content. 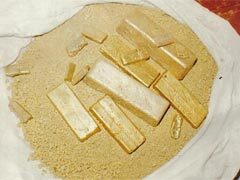 The gold price per ounce that you will pay or get will depend on the gold bullion quality. If you have gold 9999 quality (or 24K gold) then you have the finest possible type, and your metal will be worth more. And 14K value of yellow metal is lower. Scrap coins or bars are often of lower quality, and sells for less because of this fact. When you examine the past gold price per ounce you will understand why this metal is so popular. Gold prices have continued to rise, making an investment in gold a smart choice for most investors. Precious metals retain their value when most other investments normally lose some. If you want to buy a 1 oz gold bullion coin or bar, shop around and compare prices. You will find that the gold price per ounce will vary, sometimes drastically, depending on the specific dealer or seller. Comparing the offered price from a number of dealers will help you get the best quality without having to settle for lower quality.